It had been eighteen years since the Air-Conditioning, Heating and Residential Expo (AHR Expo) was last held in Atlanta, Georgia. Much has changed in 18 years, both for the city of Atlanta and the show itself. In 2001, the show hosted 1,297 exhibitors, demonstrating the newest products and technologies over 395,000-square-feet of exhibit floor. This year the show grew to span two buildings, taking up about 493,000-square-feet of exhibit space, and hosting 1,824 exhibitors. When the AHR Expo was last in Atlanta, the city supported four professional, major league sports teams and the NFL’s Atlanta Falcons played in the Georgia Dome. Now, Atlanta boasts the successes of seven professional teams, including the women’s basketball team, the Atlanta Dream, and the Atlanta United soccer team. The Falcons now play in one of the world’s most sustainable sports stadiums, located just feet from the home of the 2019 show. Mercedes-Benz Stadium opened in 2017 and is the first professional sports stadium in the world to achieve LEED Platinum certification. In just a few weeks, the two million-square-foot stadium, with its 82,550-square-feet of LED lighting, 600,000-square-foot water recapture cistern, 4,000-solar-photovoltaic-panels, and kinetic roof will host Super Bowl LIII. While much has changed for Atlanta and the AHR Expo over the years, what has remained constant is the involvement of over 30 major industry organizations supporting the show, offering a unique opportunity for manufacturers and suppliers from all over the world to display the latest in equipment, systems, components, technology, and solutions to address current industry needs and future challenges. For HVAC&R professionals and those of us that serve them, there are few other opportunities to meet with industry experts, participate in three days of robust educational sessions, gain insight into the latest technology trends, and learn about innovative ideas from all corners of the world. The 2019 AHR Expo Exhibitor Economic Outlook Survey, sponsored by the ASHRAE Journal, suggests that this will be a good year for businesses in the industry. A total of 58.7% of the exhibitors responding to the survey rated their business prospects as “good,” while 28.6% rated prospects as “excellent” for 2019. Exhibitors’ optimism for their 2019 prospects is comparable to last year, with 61.7% rating their prospects as “good” and 27.2% rating their prospects as “excellent” in 2018. 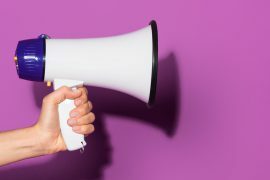 In 2019, 23.8% of exhibitors expect their sales to grow by more than 10% and 41.3% predict sales to increase between five and 10%. In the survey given to exhibitors in the fall, only 4.8% of respondents expect their sales to decrease. ASHRAE Journal’s 2019 Attendee Survey on HVAC&R Industry Trends also predicts a positive outlook for 2019. In the coming year, 87.9% of respondents rated their business prospects as “good” or “excellent.” Of that number, a slightly lower 28.2% said their prospects were “excellent,” as compared to 32.8% predicting “excellent” business prospects in 2018. Further comparing expectations to last year, 43.1% of respondents said that they expect business to increase five to 10%, while 23.5% said they expect business to increase by more than 10% in 2019. While the respondents are optimistic about the upcoming year, those attending last year in Chicago and responding to the same survey were more enthusiastic. More respondents to the 2018 survey, 46.6%, predicted their businesses would grow by five to 10%, and 27.3% predicted their businesses to grow by more than 10% in 2018. In another difference between 2018 and 2019, last year the largest number of respondents expected their business prospects to stem from new construction. 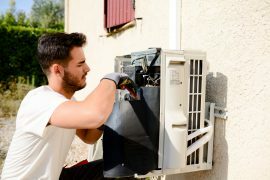 In 2019, most attendees, 37.1%, said they expect their prospects to be more likely from maintenance and replacement business. Each year, the AHR Innovation Awards honor the businesses showcasing the most inventive products, systems, and technologies at the show. This year winners and finalists were selected in building automation, cooling, green buildings, heating, indoor air quality, refrigeration, plumbing, ventilation, software, instruments, and technology. As more than 60,000 industry professionals walked the show floor exploring and learning, a common thread was the need to seamlessly integrate solutions to meet particular business needs. One of the biggest challenges facing the industry, and a message heard throughout numerous educational sessions and technology briefings, was the need to move from the manual handling of technology integration towards a more consultative approach to integration. Buyers were encouraged not to limit themselves to end-to-end solutions housed under one roof, but to identify their most critical business requirements and the technologies best suited to meet each of their unique needs. Many of the first-time exhibitors at the show this year emphasized their strength and flexibility to work with other providers, in controls and system integration technologies, providing integrated solutions in building automation, and utilizing data from multiple IoT providers for predictive maintenance needs and energy savings. For years, numerous providers have offered field service software solutions to the industry, promising increased efficiency, enhanced scheduling capabilities, and improved visibility into operations. In 2019, more software providers than ever before gathered in a special section, the Software Center, to provide attendees with a glance at solutions for businesses of all types. The exhibitors this year, however, expand the value offered to businesses. As the expectations of commercial, industrial, and residential customers shift to include constant updates, more flexible communication methods, information and appointment requests at any time, on-the-spot prices and proposals multiple options, and enhanced business intelligence, these vendors are more suited than ever to work together and with other technology providers to deliver complete solutions to businesses. Whether it was viewing the whale shark on exhibit at the Georgia Aquarium during the after-party hosted by Rheem, seeing “Duct Man” at the Royal Metal Products booth, testing out VR equipment at numerous exhibits, hearing more about industry trends from panel participants at booths, such as Emerson, and so much more, my week in Atlanta was packed with highlights too numerous to list. 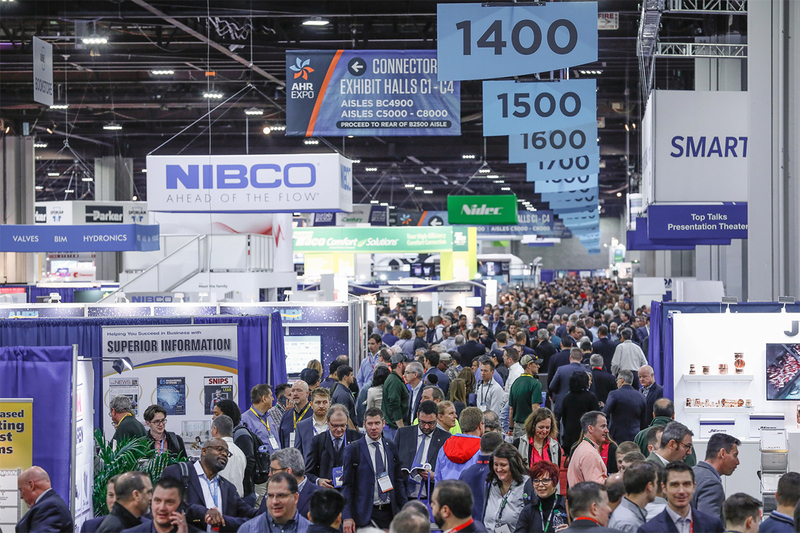 Clearly, the future of the HVAC&R industry continues to be an exciting one and no business owner or vendor can afford to miss out on opportunities such as the AHR Expo to stay involved and informed.